The death occurred, peacefully, at the Regional Hospital, Mullingar, on Friday, January 18 of Michael ‘Mickey’ Hughes, Deanscurragh, Longford Town, Longford. 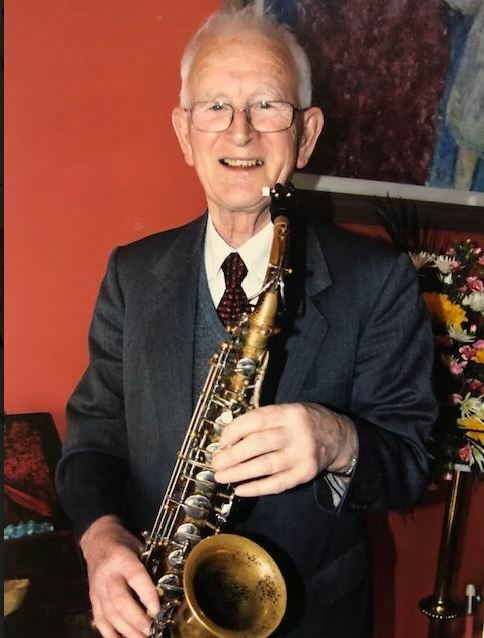 Predeceased by his wife Marie (nee Halligan), Michael will be sadly missed and remembered with love by his son Dennis, daughter in law Pat, granddaughter Jill and her husband Denis, great-grandsons Will and Tom, nieces, nephews, relatives and friends. May he Rest in Peace. Reposing at Glennon’s Funeral Home, Ballinalee Road on Monday, January 21 from 5pm concluding with prayers at 8pm. Removal on Tuesday, January 22 to arrive at St Mel’s Cathedral for Mass of the Resurrection at 11am. Interment afterwards in Ballymacormack Cemetery. Family flowers only please, donations if desired to The Longford Branch of the Alzheimer’s Society. The death occurred, suddenly, at his home on Thursday, January 17 of Edward ‘Eddie’ Brady, Urney, Ballinagh, Co Cavan. Journalist, former Cavan County Board GAA, Cavan Chamber of Commerce and Tidy Towns Committee. Beloved husband and best friend of the late Margaret (nee Donohoe). Sadly missed by his brothers in law, sisters in law, nieces, nephews, cousins, neighbours and many many friends. May he rest in peace. Funeral Mass on Saturday morning January 19 at 11am in St Felim’s Church Ballinagh followed by burial in the adjoining Cemetery. 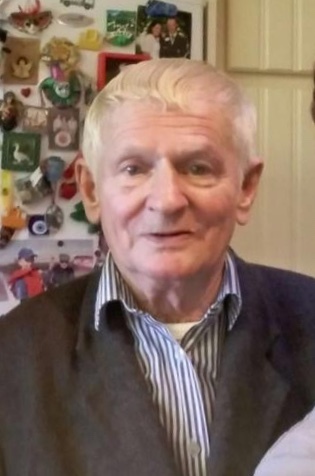 The death occurred, peacefully, in the loving care of matron and staff Newbrook Lodge Nursing Home, Mullingar, on Thursday, January 17 of Tony McClanna, Grove Street, Mullingar and formerly of Ballynacargy, Co Westmeath. Tony will be very sadly missed by his sister Ann (Nally), brother Dermot (Wexford), nieces, nephews, relatives and many close friends. May Tony Rest In Peace. Funeral Mass on Saturday, January 19 at 11am in the Church of the Nativity, Ballynacargy followed by burial in St Michael's Cemetery, Sonna. 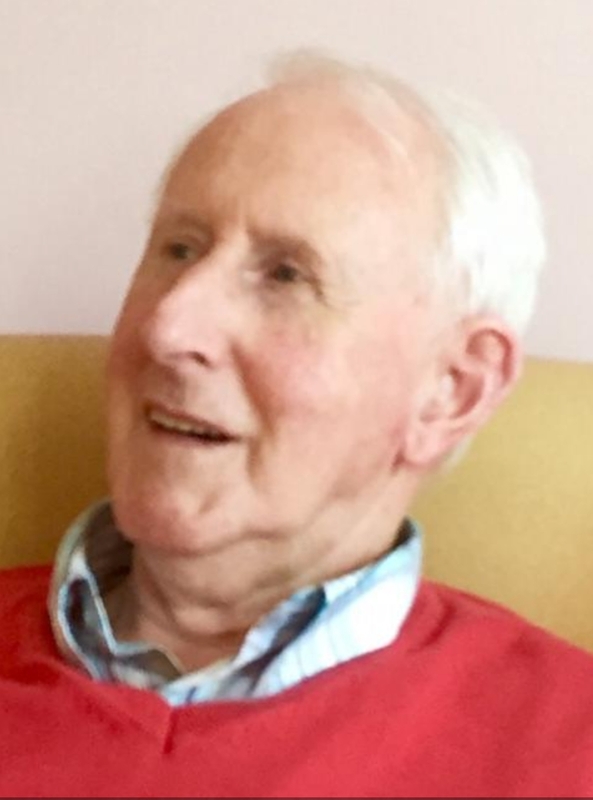 The death occurred, surrounded by his loving family, and in the excellent care of the staff at Portiuncula Nursing Home, Multyfarnham, Co Westmeath, on Friday, January 18 of Leo Brady, formerly of Ardamagh, Ballyhaise, Co Cavan and Ballinagh, Co Cavan and late of Cornaslieve, Virginia, Co Cavan. Predeceased by his wife Mary and sister May (Mc Gee). Deeply regretted by his loving daughter Jane (Fox) and his son Joseph, son-in-law Chris, grandchildren Christopher, Cian and Roisin, brother Fr. Patrick Brady, sisters Angela (O' Reilly) and Vera Brady, nieces, nephews, extended family and friends. Reposing at Portiuncula Nursing Home, Multyfarnham (eircode N91RW14) on Saturday 19 January 19 from 5pm until prayers at 7pm. Removal to Mary Immaculate Church, Virginia on Sunday morning, January 20 arriving for 11am Funeral Mass with burial in the Old Cemetery. Family flowers only. Donations in lieu, if desired, to the Residents Comfort Fund, Portiuncula Nursing Home care of Matthews Funeral Directors, Virginia. May his gentle soul Rest In Peace. The death occurred, suddenly, on Thursday, January 17 of Denise Elliott, Macken, Leitrim Village, Co Leitrim. 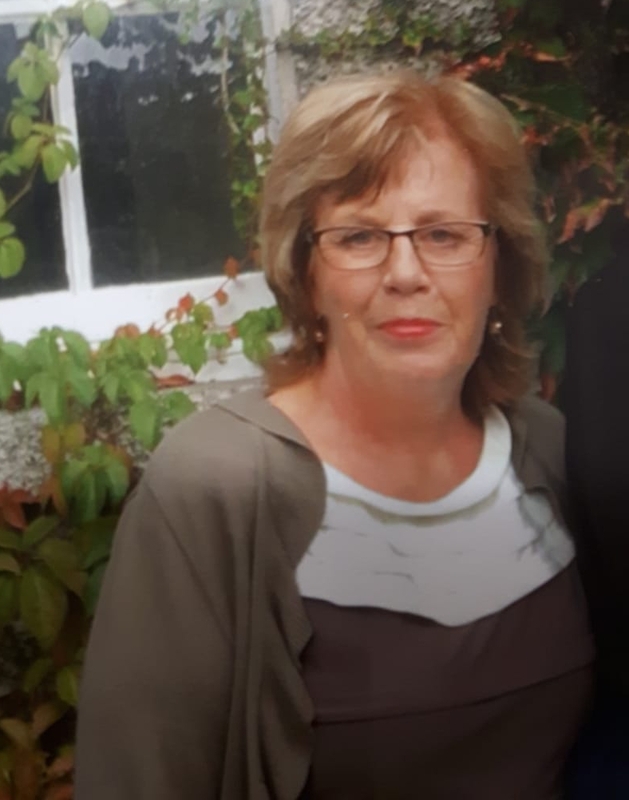 Deeply regretted and sadly missed by her loving partner Brian O'Connor and extended O'Connor family, sister Vicky, nieces, nephews, relatives, her work colleagues at Leitrim Office Supplies, neighbours and a large circle of friends. Rest In Peace. Reposing at her residence on Saturday evening January 19 from 2pm until 8pm with removal on Sunday morning January 20 to St Patrick's Church, Drumshanbo arriving for Mass of Christian Burial at 11.30am with funeral afterwards to Drumshanbo New Cemetery. House private on Sunday morning please. One Way traffic system in operation via Leitrim Village. The death occurred, suddenly, at UCHG, on Wednesday January 16 of Padraig Guckian, Derrywillow, Aughamore, Carrick-on-Shannon, Co Leitrim, (Ex CIE). Predeceased by his brother Seamus, loving husband of Imelda and dear father of Frank, John, Marie Clarke and Annette Cosgrave, sadly missed by his loving family, sister Ita Curran, brother Des, sons-in-law, daughters-in-law, brothers-in-law, sisters-in-law, grandchildren nieces, nephews, relatives, neighbours and friends. May Padraig Rest in Peace. Funeral Mass Saturday January 19 at 11am in St Mary’s Church, Annaduff followed by burial in the adjoining cemetery. Family flowers only please. Donations can be made to Cancer Research c/o McGowan, Funeral Directors, Dromod.Donation box in Church. House Strictly private please. The death occurred, peacefully, after a sudden brief illness, on Wednesday, December 5 of Kathleen Dayton, Strokestown, Roscommon and San Diego, California, USA. Sadly missed and lovingly remembered by her sisters Marian Wilson (England), Pauline (Roscommon), Margaret Scott (Sligo) and Bernie Murray (Killina), her brother PJ (Australia), nieces and nephew, grandnieces and grandnephews, extended family, neighbours and many cherished friends in San Diego and Ireland. Mass for the happy repose of her soul in Strokestown Parish Church on Saturday, January 19 at 12 noon. Ar dheis Dé go raibh a hanam. The death occurred, peacefully in London, of Veronica Young (née Carty), Venner Road, Sydenham, London and late of Rooskey, Ballaghaderreen, Co Roscommon. Veronica, predeceased by her brother Dermot she will be very sadly missed by her loving family, her daughter Maureen (Waldron), sons Des and Brian, son-in-law Dave, grandchildren, relatives and a large circle of friends. May She Rest In Peace. The death occurred on Wednesday, January 9 of Patrick James ‘Jim’ Quinn, Manchester, Boyle and formerly Longford, in Manchester. Predeceased by his wife Peg Gormley, formerly of Corachole, Ballinamore and his daughter Pattie. Much loved father of Mary, Phil and Stephen, father-in-law of Chris, grandfather of five and great-grandfather of eight, brother, brother-in-law & uncle. Rest in Peace. He will be received into St Mary's Church, Levenshulme, Manchester on Sunday, January 20 at 5pm. Funeral Mass on Tuesday, January 22 in St Patrick's Church, Ballinamore at 11am with burial afterwards in Oughteragh Cemetery, Ballinamore.